A Tomato and Basil sauce combining tomatoes with basil and a hint of garlic. 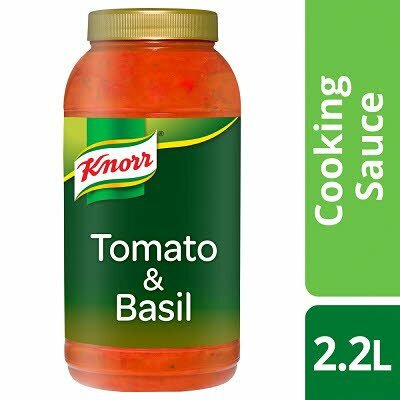 Water, tomatoes* (24%), tomato paste* (20%), onions, sugar, glucose fructose syrup, modified maize starch, basil (1%), sunflower oil, salt, lemon juice concentrate, garlic, natural flavouring. *Made from sustainably grown tomatoes. Just add cooked meat, fish or vegetables as desired, heat and serve.